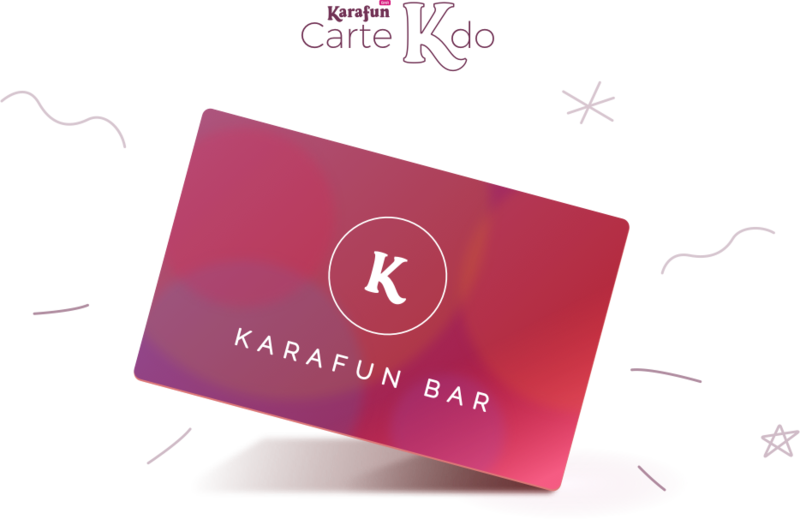 Discover the Gift Card KaraFun Bar, and give the best of karaoke! all the best karaoke in one little envelope! Give a little dose of fun with th KaraFun Bar Gift Card, an original idea that's sure to make someone happy while making memories. Add credit to the card in the amount of your choice. It can be used on our website or directly at KaraFun Bar for a reservation or at the bar.